Anyone experiencing the freeze issue in Windows 10 can now upgrade to the Anniversary Update--but you might lose your webcam. Windows 10’s Anniversary Update is having its share of problems, but Microsoft has solved at least one of them. The company announced late Wednesday that it had released a patch to fix the login freeze issue. Anyone who was experiencing the issue can now upgrade to the latest version of Windows 10. The patch fixing the bug will be automatically applied when you move up to the Anniversary Update. The story behind the story: The login freeze issue was the first of three hardware problems that have dogged the Anniversary Update. Shortly after reports of the login issue appeared, a bug causing webcams to fail in the Anniversary Update surfaced. About a week later, we started hearing about Amazon Kindle users whose PCs were crashing when they plugged their e-readers into their computers via USB. Microsoft’s August 31 patch is now available via Windows Update. While there have been several problems with the Anniversary Update, the freezing issue was easily the most severe. 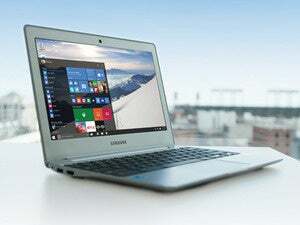 When it was first discovered in mid-August, the best thing users could do to solve the issue was roll back their PCs to an earlier version of Windows 10. Users experienced the freezing issue when they used two drives, putting their operating system on the primary drive and splitting app data onto a second drive, according to a post by Microsoft on the company’s forums. If you never bothered to roll back from the Anniversary Update and are still experiencing the freezing issue, Microsoft has a workaround. If you have a second administrator account, sign in to that account, check Windows Updates for any updates, and install the patchreleased on August 31. 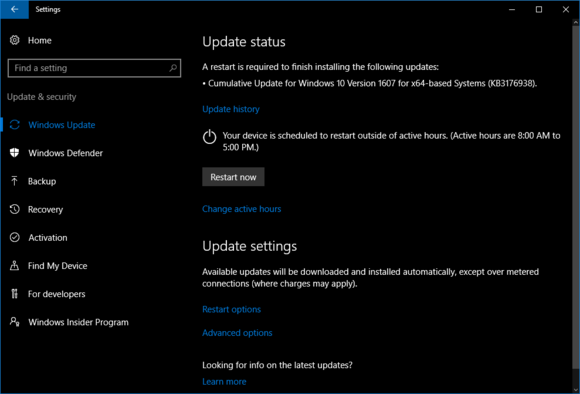 Many users should already have a notice that a new update is ready for installation. Once that’s done, reboot your PC and you should be able to login to your original account with no problems. If it doesn't, you can roll back your PC to vanilla Windows 10 and reinstall the Anniversary Update once again.